Full Disclosure: Bubbies Mochi Ice Cream sponsored this post but all thoughts and words are my own. Thank you for supporting the brands that support Girl Eats World! 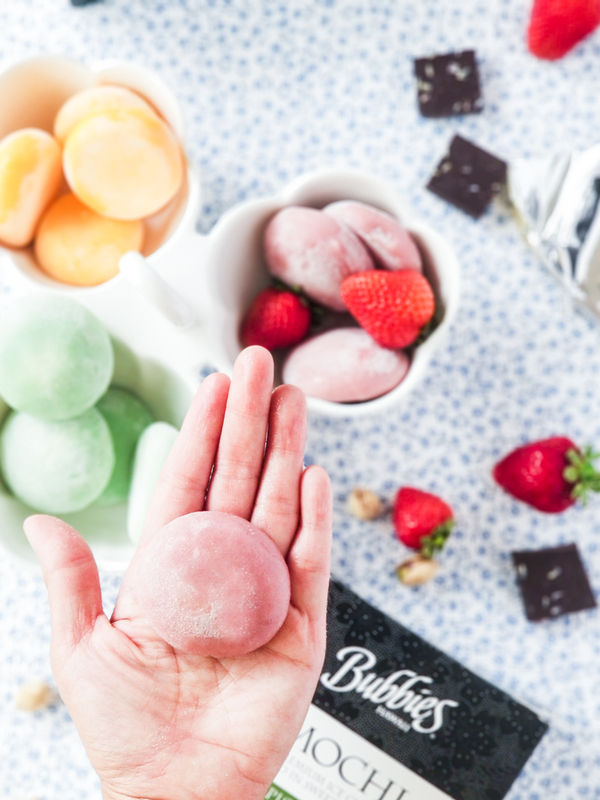 In case you still haven’t come across these adorable desserts, mochi ice cream balls are a Japanese-inspired dessert made of sweetened rice flour wrapped around balls of ice cream. They’re often served at Japanese restaurants for desserts for as long as I can remember, but luckily for us, their popularity has grown. Now you can buy them in grocery stores! 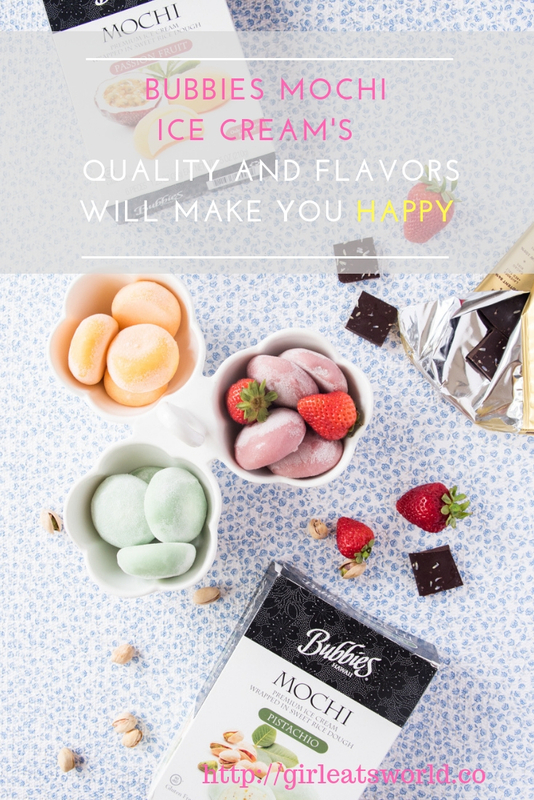 For instance, Bubbies Homemade Ice Cream, based in Hawaii, are in Whole Food locations, traditional grocery stores, specialty retail outlets, and even some resorts and restaurants throughout the United States. Good news for me because I definitely want to try more flavors after I eat through my current loot. Speaking of my loot, I was ecstatic about all four flavors I tried. I knew I had to stick with a couple of my favorite flavors, like green tea and passion fruit. If you’ve followed me on instagram or on this blog at all, you’d know I’m obsessed with green tea and matcha desserts. The passion fruit made me especially happy because it evoked a summer carefree mood! In case you’re not like me and are not clinging to the remnants of summer, there are some fall and winter seasonal flavors. Flavors like Pumpkin Pie, Peppermint Candy, Chocolate Eggnog, and Gingerbread. Another flavor I heart is pistachio. What’s delightful about the pistachio mochi ice cream is that you can see and taste the specks of real pistachio. Lastly, I sampled the strawberry dark chocolate, strawberry sweetened rice dough wrapped around dark chocolate ice cream. I am a big fan of dark chocolate so this was also a winner! So let’s talk about quality. Each mochi is 100 calories or less, non-gmo, and gluten-free! 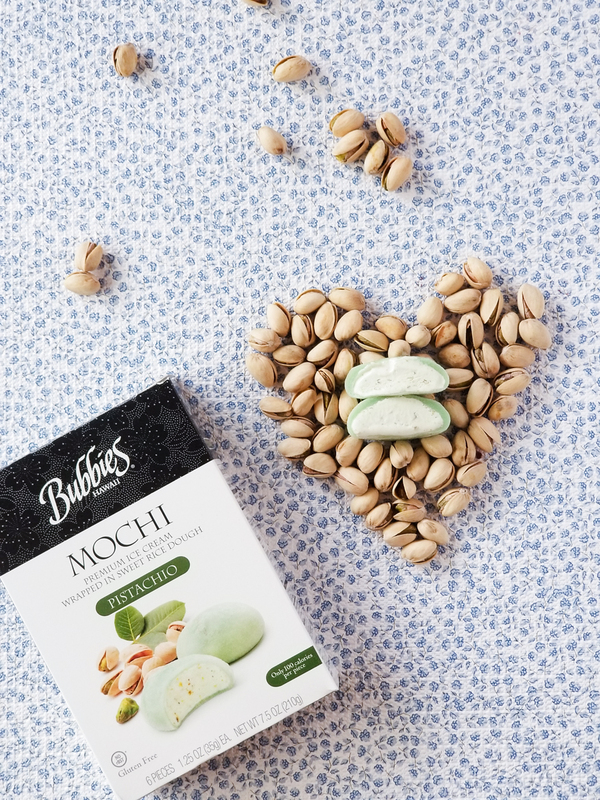 They’re even launching vegan varieties.Bubbies offers more than 25 flavors of mochi. Fan favorites include Triple Chocolate, Vanilla, Strawberry, and Blood Orange. 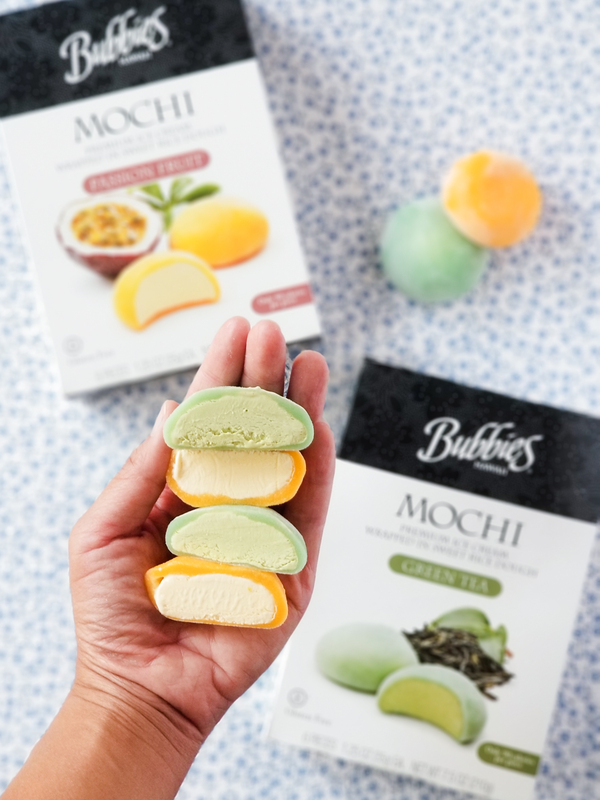 You can find Bubbies Mochi Ice Cream in self-serve mochi freezers, or in the frozen novelty section of Whole Foods and many grocery retailers nationwide. I’m so happy to know about Bubbies and will definitely be trying more flavors next time I’m at Whole Foods! Questions: So tell me, friends. Which of these flavors strikes your fancy? If none, which are your favorite ice cream flavors?